16/11 – I made the mistake of buying Fallout 4, which is devouring an astonishing quantity of my free time. I’m getting close to the end (I think), but the review will have to wait until next week. I might throw up something short in the meantime. Big Pharma, then. 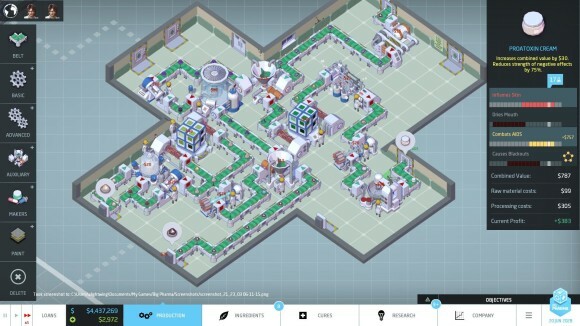 Looks a bit like Theme Hospital, tries the same thing Theme Hospital did of balancing the figuring-out-a-cure side of medicine with the more ruthless business bottom line of balancing books and crushing your competitors, but ultimately ends up doing neither of these things particularly well.